Book Keenan For Your Next Event! 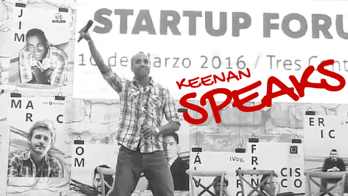 Let Keenan challenge, educate, motivate, inspire and entertain your sales organization. Give your sales team the push that will get them going a little further than they are used to. Get your sales organization pumped to take on new challenges, engage more customers and find new opportunities. You have your entire sales organization in one place. Don't waste a killer opportunity to send them home ready to crush it with a great sales speaker at your next sales meeting or conference. Book Keenan today and get everyone fired up!